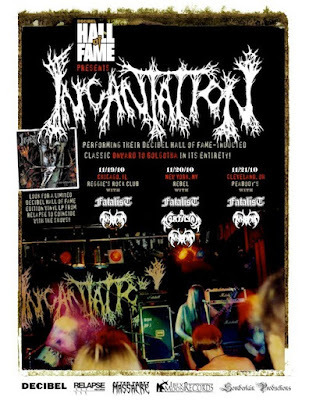 I posted a review and video of Incantation's Decibel Hall of Fame show in Brooklyn over here for Metal Injection. It wasn't a pretty night. Incantation were great at MDF, look forward to reading your review; they've become one of my favorite bands. Incantation for me have always been one of those bands that I say I will check out but never get round to, but now I shall, To the internet!